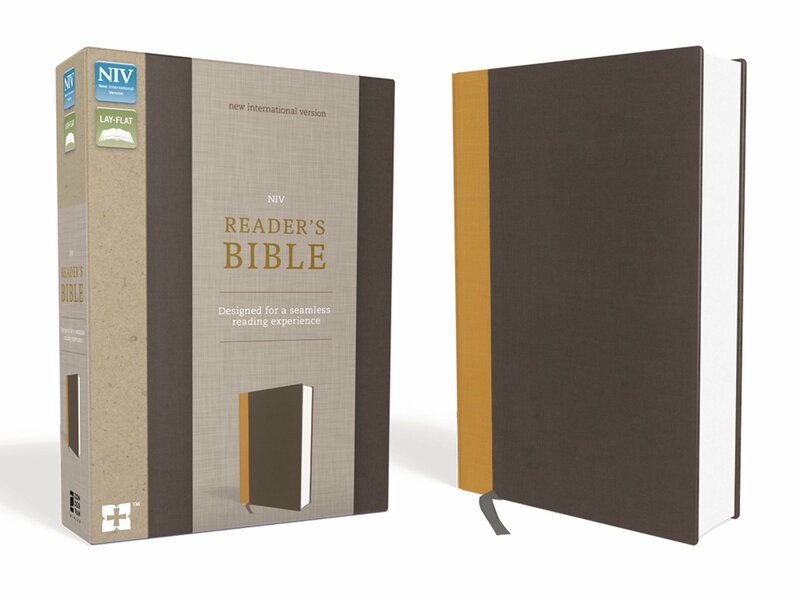 My thoughts: This hardback NIV Bible is wrapped in a gorgeous gray and yellow fabric. Each page has one column with a larger font size. 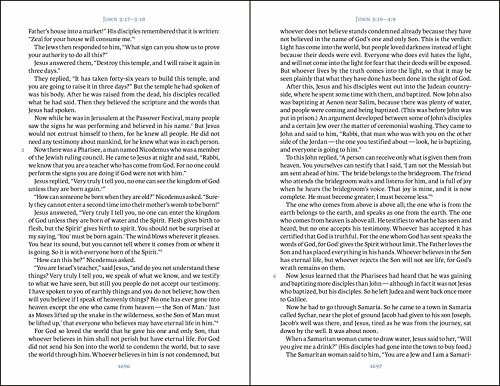 The chapter or verse numbers are at the top of each page and along the side. The Bible is printed more like an ordinary book making it easier to see and keep notes along the side. This larger print allows you to read longer without the eyestrain from smaller print. Overall, a great Bible that would make a lovely gift or a nice treat for yourself.